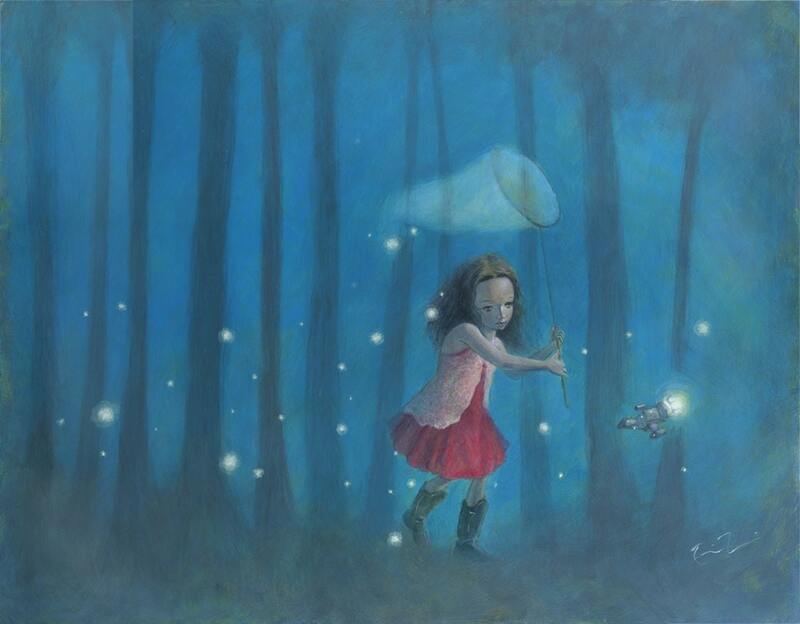 Painting of River Tam inspired character catching miniature spaceship Firefly with a net. 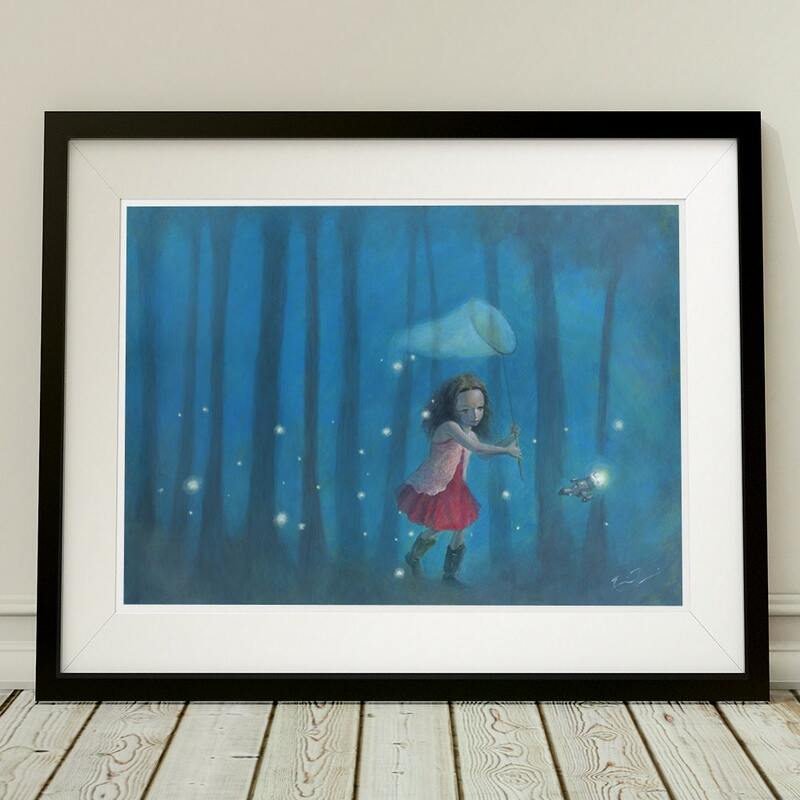 Printed on archival fine art paper with archival inks, this limited edition print of 250 of my original acrylic painting, "Catching Fireflies" (tribute to TV show Firefly), is signed and protected in a clear sleeve with a backing board. Image area will have a small white margin when framed or matted.